Cancellation Watch: Revolution Drops to Series Low, Could NBC Change Their Mind About the Renewal? Last week, when NBC’s Revolution dropped to a 2.0 rating in the 18-49 demographic, I asked just how far down it could go. Well, lower than that number seems to be the answer. This past Monday, the show slipped yet again to a series low of a 1.8 rating in the 18-49 demo with 5.5 million total viewers. Those are some pretty skimpy numbers and on top of that the show lost 58% of the audience from its lead-in The Voice which posted a 4.3 rating. 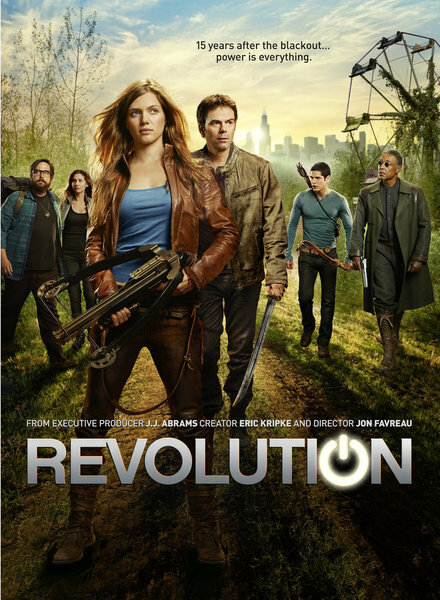 NBC just renewed Revolution last week (for a full 22 episode order, no less) and you know the network execs have to be gritting their teeth right about now. The show still has another five or so episodes to go (season finale was delayed to June 3rd because of preemptions), and its numbers could sink even further over the coming weeks. So is it possible that NBC would renig on that renewal? I don’t think so, but this will definitely have them thinking long and hard about the health of the show. At this point, Revolution looks like it could track the same course as shows like V and Touch which faded in their first seasons after starting strong, yet still got a renewal only to arrive essentially DOA in their second years. NBC needs to use these ratings declines as a wakeup call that the show needs and overhaul if they want viewers to come back. Revolution has been regularly maligned on the social networks for hackneyed, by-the-numbers stories and drab characters. And the ratings slide has shown that a once sizeable audience has simply lost interest in the show. When this one does come back next year (I don’t believe NBC will do an about-face on the renewal) it needs to have made some signficant changes lest it not even make it past mid-season (I do see them cutting short the full season order if the ratings don’t improve notably upon Revolution‘s Fall return). Over on FOX on Monday night, The Following had its best numbers in several weeks as that one aired its season finale. The episode pulled a 2.7 rating in the 18-49 demo and 7.8 million total viewers which has to be encouraging for its network as it has already been renewed for a second season. On Sunday, ABC’s Once Upon A Time continued its ratings struggles as it pulled another 2.0 rating with 7.2 million total viewers. The broadcast nets in general have been struggling on that night, but that show in particular has fallen far this season. 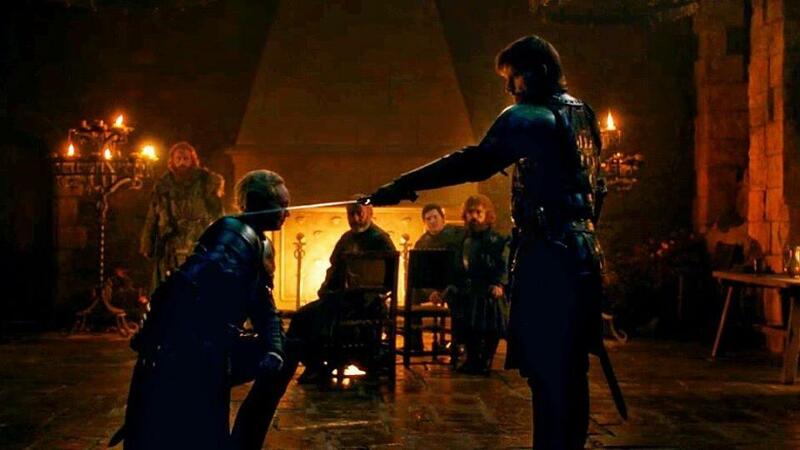 On the cable networks, HBO’s Game of Thrones delivered yet another series high in the ratings on Sunday with a 2.8 rating in the 18-49 demo and 5.3 million total viewers. That topped all cable shows for the night and all of the offerings over on the broadcast networks as cable continues to erode the hold that the old school programmers once had on Prime Time. On Monday, Defiance held onto its numbers for a second week, pulling a 0.8 rating with 2.3 million total viewers. And the return of Warehouse 13 for the second half of its fourth season delivered a 0.5 rating with 1.5 million total viewers, about where it ended its Summer run. And on A&E, Bates Motel held steady with a 1.3 rating. The numbers for Grimm’s first Tuesday night airing will be available around noon today so keep an eye on the Cancellation Watch Twitter Site for that and the early numbers for the rest of this week’s shows, and you can see the Cancellation Alert status of all the shows currently airing plus the final results from prior seasons at my Cancellation Watch page. And for questions on how the ratings work and my Cancellation Alert statuses, you can see the Cancellation Watch FAQ.